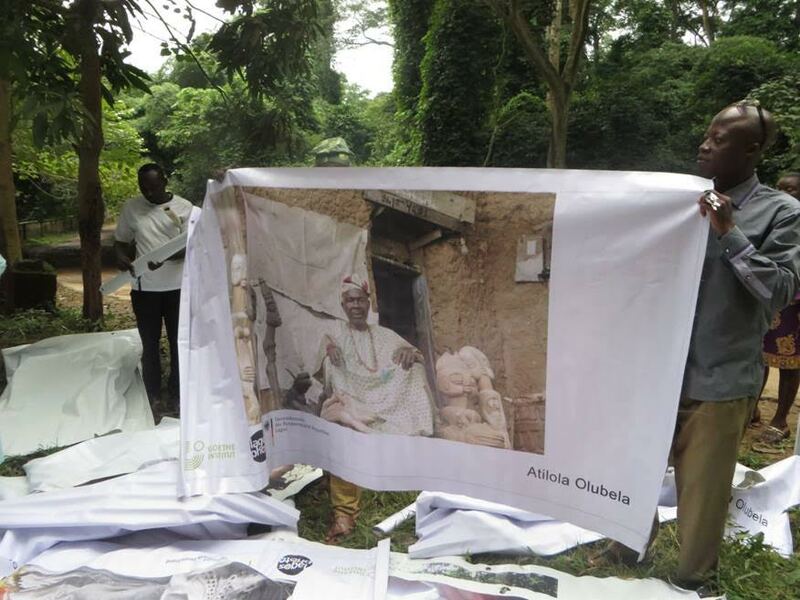 Renowned photographers Akinbode Akinbiyi of Germany and Uche Okpa-Iroha of Lagos led a master-class of Nigerian photographers to Osogbo to be inspired by the art, nature and heritage of Osogbo and the Osun Groves. 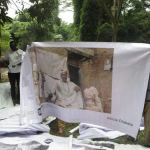 The Exhibition of life size photos by 6 photographers has received acclaim in Lagos, Abuja and Bonn, Germany. Now the Exhibition is coming home to Osogbo for the Osun Groves, co-sponsored by the Goethe Institute, The Adunni Olorisha Trust and the National Commission for Museum and Monuments. The Exhibition will consist of 31 photos which will be displayed on the walls at the entrance of the UNESCO World Heritage site during the Osun Festival which culminates on Friday, August 21st with the procession in the Osun Groves.